“Organic” whisky? Fair enough. 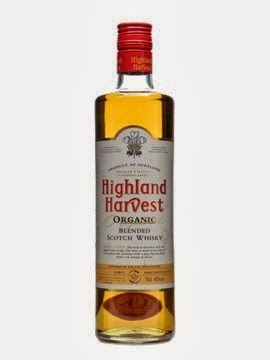 The Highland Harvest website notes that its whisky is adorned with the USDA Organic Seal of approval. For a glimpse into what this might mean, please have a look at the below video. Without further ado, let’s explore the character of this alleged organic whisky shall we? Nose: Sliced granny smith apples, green grapes and raisins with sparks of crushed cinnamon and sweet bakery spices. Taste: Honeyed oats, raisins and golden syrup with hints of maple – this whisky is smooth on the palate and very drinkable. There does not seem to be much complexity about this whisky, just sweet sipping pleasure without fireworks. Finish: Sweet oak driven sugars form and then slowly dissolve into mild toffee. This is a very decent whisky – approachable, drinkable and enjoyable.